By March of 1844, Joseph Smith had only three months to live. He left no record indicating he knew he was about to depart this world, but that didn't keep others from making up stories years later that he had been dropping hints. What we do know about Joseph Smith in those final three months of his life is that he had been laboring mightily to lay the foundation for a socio-political system that would, in his words, "revolutionize the whole world." It turned out that the church he had founded fourteen years earlier had been merely a first step toward something much bigger. The result of his labors was to be neither part of the church, nor controlled by the church. By this time, Joseph had very little interest in governing the church. He had turned over administrative duties to his brother Hyrum, who not only had all the gifts of a prophet, seer, and revelator, but was also the Patriarch. That office, Joseph said, was the highest office in the church, giving Hyrum Smith more authority than was held by even Joseph Smith himself. One of the things that annoyed Joseph Smith no end was that the members still kept looking to him for answers when they should have been looking to Hyrum. But no one seemed to listen. Church members kept running to Joseph with every little question or problem. Joseph Smith had bigger things on his mind. By March of 1844, the growth of The Church of Jesus Christ of Latter-day Saints was exploding like never before. New members were converging daily on the city of Nauvoo and surrounding areas. Converts from the British Isles were arriving literally by the boatload, and in the midst of all this, the church continued to face the same persecutions it had been facing from the start. No matter where the Saints wound up settling, it wasn't long before their neighbors wanted them gone. The fledgling U.S. constitution guaranteed the Saints freedom to worship, but it lacked the enforcement authority to make certain they were permitted to live in peace. The constitution only guaranteed people that the federal government would not interfere with their rights; it had no authority to prevent state governments from persecuting them. Far from offering the Mormons sanctuary and protection, the governors of the states of Missouri and Illinois had personally set their hands against the Mormons. So Joseph Smith eventually concluded the saints would have to move once more, this time to someplace outside the borders of the United States; some yet-undecided, sparsely populated area where they could create a commonwealth of their own. A commonwealth is nothing more nor less than a political community founded for the common good of the people living under it, and the the key component of the commonwealth Joseph Smith was proposing was that it would not be a Mormon community. This commonwealth would be open to all people of good will. Whatever religion you adhered to -or even if you adhered to no religion at all- you would be welcome in this new community so long as you respected the rights of others to be left alone in theirs. Joseph selected a council made up of fifty men which came to be known as the Council of Fifty, the purpose of which would be to protect the people in their rights and one day serve as the government for the kingdom of God on the earth. 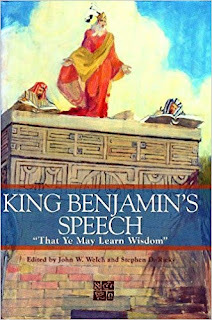 It was formed, in Joseph's words, for "the purpose of laying the foundation for a theocracy in preparation for the millennial reign of Jesus Christ." 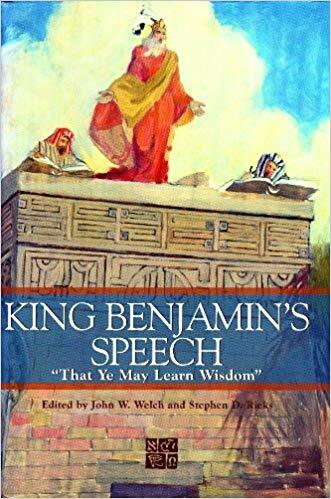 In short, it was intended to lay a foundation of freedom that would eventually fulfill the prophecy of Daniel, who foresaw in the last days the establishment of a kingdom ruled by God that would eventually supplant all other kingdoms on the earth. It should be noted that this was not an attempt to institute Zion. The Lord has declared that only He can accomplish that purpose, and in His own good time He will. Still, a noble attempt by any people to live together in peace in spite of their differences would have demonstrated to the Lord that at least some of His followers were preparing themselves for that eventuality. "I will appeal to every man in this council beginning at the youngest that when he arrives at the hoary age he will have to say that the principles of intolerance and bigotry never had a place in this kingdom." Joseph Smith and the members of the council of fifty were strongly convinced they were on the verge of something very big. The spirit of God was palpable in the meetings of the council. "It seemed like heaven had begun on earth," said one member of the council describing the experience years later. And indeed, that was the idea. The kingdom of God on earth was intended to mirror the kingdom of God as it functioned in heaven, as near as it was possible for any group of people to institute such a society. It would be done by basing the society on principles of non-coercion. Man's law had proven insufficient to protect the rights of all people at all times and in all places, so this proposed new kingdom would be based on God's law, not man's. That meant the guiding principle would require little more than what we know today as the moral primacy of basic respect: do unto others as you would have others do unto you. The full name of the kingdom, as given through revelation, was to be "The Kingdom of God and His Laws, With the Keys and Power Thereof, and Judgement in the Hands of his Servants." That was a mouthful, so in the interim those tasked with getting the kingdom underway referred to their committee interchangeably as the Council of Fifty or as the Kingdom. In their minds, the kingdom of God was not something they were hoping to find in the next life; it was already present in the here and now. We are only just now coming to understand the workings of the Council of Fifty and precisely how the kingdom of God would operate, because Joseph and the council decided from the beginning to keep it's deliberations secret until the project was fully underway. Outside of the Council itself, none of the other members of the church had the slightest clue as to the council's existence, or of the plans being formulated to find a safe place for the saints to remove to. They certainly hadn't contemplated the possibility that the vision of Daniel was about to be fulfilled right under their noses. "The design was to form a Theocracy according to the will of heaven, planted without any intention to interfere with any government of the world. We wish to have nothing to do with them. We have no violence to offer to governments, no rights to infringe. The object is to live so far above their laws that they cannot interfere with us, unless by violence." "We will hunt a spot somewhere on the earth where no other government has jurisdiction and cannot interfere with us and there plant our standard. You need not fear that we desire to trample on the rights of any man or set of men, only to seek the enjoyment of our own rights." Quite a few groups had done just that. In the early part of the 19th century there were autonomous collectives declaring their independence all over the continent: West Florida, for example, or outside Vermont, or the (almost) State of Franklin near the Appalachian and Blue Ridge mountains. And then there was that newly formed Republic of Texas down near the border of Mexico. Among the possible locations for the founding of their commonwealth, the council had been considering three locations in particular: Texas, the Rockies, and Wisconsin. (At that time, Wisconsin was still a territory, not a state.) Exploratory committees were being assigned to go and scope out these territories and determine their suitability, when out of the blue Joseph and Hyrum were assassinated and everything got put on hold. Texas had been considered by some to be the most viable of the three possible locations. Many Americans yearning for more freedom and opportunity had been leaving the states and pouring into that area for the past ten years, among them Davy Crockett, the former congressman from Tennessee who turned his back on his former constituents saying, "Y'all can go to hell. I'm goin' to Texas." Wisconsin territory was only a hundred miles from Jackson County, where the saints ultimately expected to return to, so you would think Wisconsin would have been the logical choice for the Mormons to sit things out until the millennium. Texas, however, had a special appeal to many on the council. The Americans currently moving to those wide open spaces were known for their independent live-and-let live attitude. And those expatriates had already formed Texas into an independent republic of their own, so that was another plus right there. A republic is the equivalent of a commonwealth, and there was plenty of room to spread out in that republic, so the area seemed ready-made for a people seeking a place where they could make their home and not be bothered. Some on the council even believed those Texans would make mighty fine Mormons and be a cinch to convert. To the extent that many of them were Christians, I'd say that might have been a distinct possibility. Mormonism under Joseph Smith was a very different religion than it later became under the autocratic Brigham Young. We might scoff at the idea of Texans joining the LDS Church en masse today, but it should be remembered that early Mormonism was much more accommodating to a wide spectrum of beliefs and attitudes than it has become in our day. As a final selling point in Texas' favor, both the white immigrants coming into Texas and the Mexican natives were known to be getting along swimmingly with each other, socializing together and often intermarrying. That was evidence that bigotry and intolerance might already be diminishing in that corner of the continent. For reasons of his own, Brigham Young favored taking the saints to the Rocky Mountains, but he couldn't do anything to prevent Lyman Wight from heading down to Texas to check out that area as a possible landing site. Before Joseph Smith was killed, Wight had been assigned to go down south and scope out Texas, so Brigham knew he couldn't countermand that order. 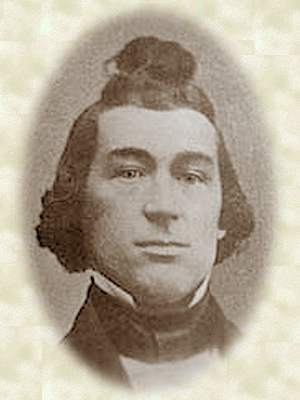 Still, Brigham let Lyman know he wasn't keen on Lyman making the trip, and admitted to Wight his fear that if it was widely known Wight was leaving for Texas, virtually everyone in the city would want to leave with him. So publicly Brigham Young attempted to undermine Wight's authority. Wight would have none of that, and effectively told Brigham Young to go to hell, because he was going to Texas. To Brigham's chagrin, a sizable number of Mormons did go with Wight to Texas, and once they got there they all decided to stay. True to character, Brigham Young excommunicated his fellow apostle, but Wight didn't care. He hadn't recognized Brigham Young's authority anyway. 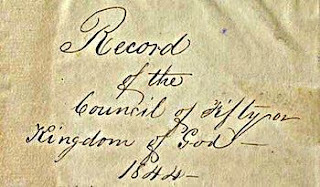 Until quite recently, the minutes of the Council of Fifty meetings have remained locked deep in the Church archives, inaccessible to the membership of the Church. For reasons I can only surmise, LDS Church officials did not want the members to know what was in those minutes, so until now we have had no real knowledge of how the council operated. Modern historians came to know of its existence through mentions in journals, letters, private histories, and other documents, but they could only speculate about what the council might have been up to, and for what actual purpose it had been formed. In 2014, Signature Books published The Council of Fifty: A Documentary History. This fascinating volume is a record of everything written by the contemporary participants in that council that hadn't been locked away in the vault, and it is a treasure trove of insight and information. We not only get first-person accounts regarding the council's activities, but in the penumbra of their writings we can detect some reasons why this ambitious project died before ever having the chance to draw breath. 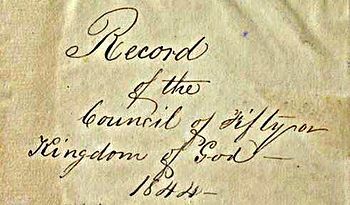 In 2016 the Church finally released the actual minutes of the council meetings that had been hidden away in the vault, and now this volume of minutes, combined with the documentary history published by Signature Books, provides us with the background on what may be the most spectacular failure in the entire history of the Church. It was a failure that could have been avoided had Church leadership at the time fulfilled the charge given to them by the prophet. They let the opportunity pass, preferring to focus their energies on governing the affairs of a mere religious denomination when they could have been establishing the actual kingdom of God on earth. Reading these entries, one gets a sad sense of what could have been. Here was unquestionably the most important role anyone in the church could have had the privilege of participating in, yet because of hesitation, inaction, and lack of vision after the deaths of Joseph and Hyrum, it never got off the ground. Our Mormon forebears had the opportunity to at least attempt something unprecedented, to lay the foundation for a veritable utopia, yet they botched it. The kingdom could have been well underway by the time any of us were born, and imagine the world we would have come into. Instead we can only lament the loss of that which never was. You wouldn't know by looking at the LDS Church website today that the Lord condemned the whole church in 1832, and cursed it twelve years later. Mormonism today is one big PR party, with leaders assuring the members that all is well in Zion. Well, there is no Zion yet, and all is not well in the Church. Those who came before us had the chance to redeem themselves by making Christ their king, but they didn't, and today we see the evidence of those cursings. 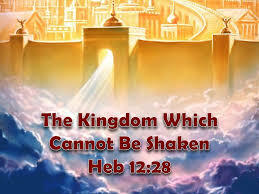 The kingdom of heaven remains stillborn and Church attendance continues to shrink. If the members of the Council of Fifty had tried and failed, it would be one thing, but they didn't even try. They fell into bickering over petty details, until eventually the whole idea was abandoned as Brigham Young turned Utah not into a theocracy, but into an autocracy with himself at the head and everyone below expected to obey him. But that's a story for another time. Join me here later this month when I'll provide part three of this discussion, and hopefully that will wrap this up. In the meantime, I can't stress enough the importance of this heretofore hidden episode of Church history. Forget everything else you've been studying about Mormon history; this is the real story right here. The formation of the kingdom of God is what the entire history of the Church had been leading up to before it crashed on the launch pad. The story of the Council of Fifty gives us a fascinating glimpse into what could have been. But just as important, no member of the Church can have a complete picture of what the Lord had in mind for the Restoration who does not avail himself of at least a passing knowledge of this episode in our history. I don't have a favorite among the following three books, because I believe each of them is an essential part of the whole if one is seeking an understanding of this unfinished episode of Mormon history. 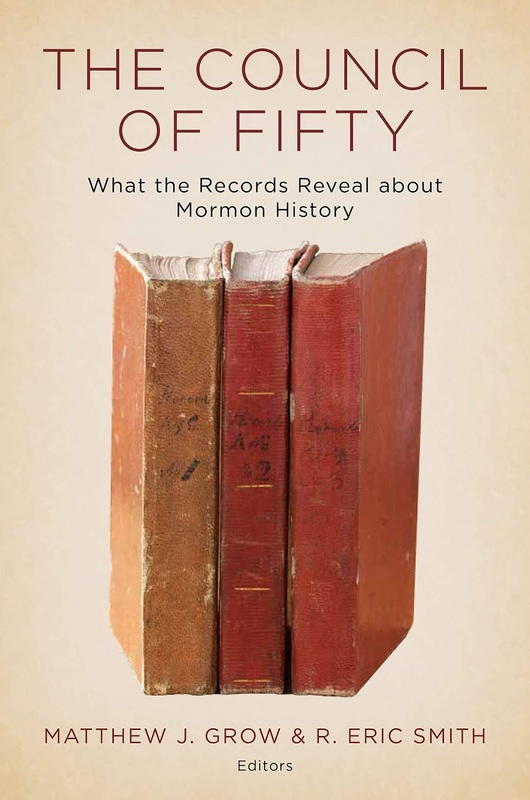 For those seeking a very good overview without getting bogged down by the minutiae of the minutes, there's The Council of Fifty: What the Records Reveal About Mormon History. Weighing in at less than 200 pages, This is a collection of essays from LDS scholars who have already waded through the minutes of the council so you don't have to. 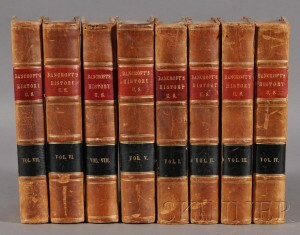 It is arranged roughly by topics such as The Separatist Impulse; Injustices Leading to the Creation of the Council of Fifty; Constitution Writing in the counsel of Fifty; Lost Teachings of Joseph Smith; and more. Plus photos. 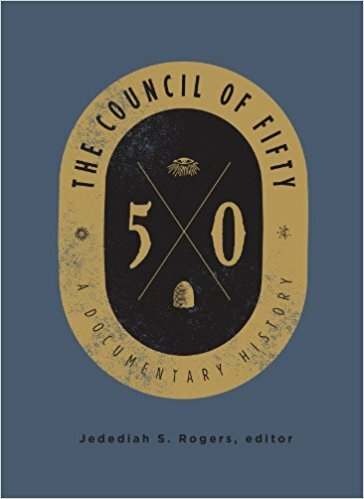 Next, I recommend Signature Books' The Council of Fifty: A Documentary History, edited by Jedediah Rogers. Here you'll find a complete history of what we know about the council in the words of those who were part of it. This volume will give you more of a narrative read, which you can't really get from the minutes. I highly recommend this one for those wanting to dig a little deeper while still not ready to bite into the big book. The Forward and Preface are invaluable summaries, plus you get a list of every member of the council along with a short bio of each. This is helpful, because although some of the names are familiar (all twelve apostles sat on the council), there are several people among that group of fifty-plus you may not have heard of. With maps and pictures. Finally, the main course, The Joseph Smith Papers: Administrative Records, Council of Fifty Minutes. This is the big one, and it's chock full of intimate details regarding what was discussed at these meetings and why. 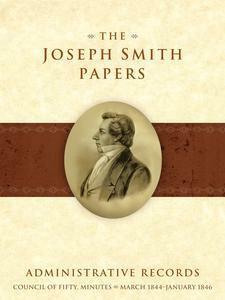 Even the editors of the multi-volume Joseph Smith Papers strongly suggest that if you can only afford one book from the set, this is the one you should have. The discussions of how the kingdom should be established are extremely insightful, but there is one caveat: we don't always get every word that was spoken in these meetings. Sometimes the recorder merely tells us that Joseph Smith lectured at length to the council, and he leaves it at that. He doesn't tell us anything about what Joseph actually said. It can be maddening wondering what insights and explanations we are missing from the mouth of the prophet, but unfortunately it is what it is. There are still plenty of instances where the recorder provides us with every word, and for that we can be grateful. With maps, photos, drawings, and tables. One final source, and this one is not only an excellent analysis of the Council of Fifty, it's also available online for free. This is Denver Snuffer's seven part treatise on the kingdom of God, and how the Saints let it slip through their fingers. 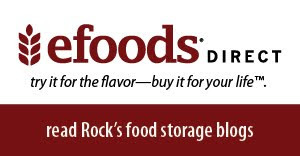 The advantage of reading this piece first is that Denver provides context as well as plenty of pertinent quotations, all in seven short, easy-to-read segments. This is Denver's series titled "All or Nothing," which, although primarily about the kingdom of heaven, will also provide the reader with an understanding of what will be required of a people who wish to establish themselves as a Zion community. Essential reading. Check back here later this month when we'll discuss what we lost and how it's still not too late to get some of it back. We're all very fortunate to have a God who believes in giving His people second chances. 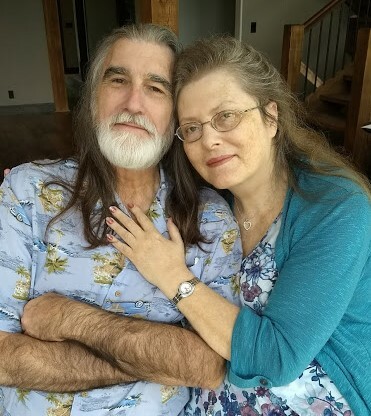 For your further edification, I present a photograph of Council of Fifty member John Van Cott, who will be remembered as the guy who wore his beard on his head to keep from running afoul of the BYU Honor Code.